Are you looking for tips on how to be crazy productive? Well, everyone I know tells me I’m super organized and asks how I’m so productive and get so much done. So, I want to share 5 of my best tricks to help YOU be super productive too. If you prefer to watch than read, check out the video below. I know I like to challenge myself to be as productive as possible every day. No matter what you’re trying to accomplish in your day, it just feels good to get all those boxes on your to do list checked off. Whether it’s chores around the house, your “must get done” list for work, or maybe just your newest hobby, let’s get into my 5 best tips on how to get stuff done and be crazy productive in your day. You’re not gonna like this first one. But if you can manage it, start your day early and get dressed right away. I know this doesn’t seem like it is for everyone, but it CAN be – it will just be more difficult if you aren’t a morning person. But like any habit, it takes about 30 days to form that habit and you can challenge yourself to try anything for 30 days. If you really want that extra quiet time in the morning to get stuff done, give the early morning a try. There are usually less distractions in the morning. The rest of the family is still sleeping, roads are less congested, stores aren’t as busy. The early morning hours are just a great time to get stuff done. If you dive into your to-do list as soon as you wake up, you’ll get a head start and get yourself on a roll for the day. You just want to keep going like it’s a marathon. You might be tired at the end of the day, but if your aim is to be more productive, then it’s worth it. If you have a to do list, that’s a good start. If you don’t have somewhere to keep track of what you need to do and you’re relying on your memory, then you must have a better memory than me! Personally, I have to write everything down to make sure I don’t forget what needs to get done. But, whether your to-do list is in your brain, on paper or in your phone – there IS a way to strategize your to do list to make it work better. Rather than just have a running list of things to do, why not schedule your week out before it even starts? Having a plan of attack is better than just a loose plan. Some people like hand writing their list into a daily planner or journal. Others like using their phone, since it’s always on hand to make adjustments. Some use a combo of both. I tend to do my personal list of items in my phone and my work specific items hand written in a daily planner. I do this because when I’m working, I’m usually at my desk where my paper planner is and it’s easy to refer to and it’s just nice to be able to separate work and home into two buckets. So, after writing your list down before the week even begins, you then break these items up into segments. What are you going to do this week? What are you going to do today? What are you going to do tomorrow? What about the first half of tomorrow? Breaking down your list into smaller and smaller increments sets specific deadlines for yourself. If everything is just jumbled up on a long list, it’s more daunting to tackle it all and you have to reassess priorities every day, which is a big waste of time. Streamlining and having a plan ahead of time will make every week, every day and every hour go by more smoothly. Now, don’t think of this as trying to be too controlling or strict with your schedule and don’t go crazy if something doesn’t get done in its specific increment of time. Just move it to a different time slot. The main goal is to give each item a feeling of importance by putting it on your schedule. This also allows you to block your time out and not feel overwhelmed one day and bored on another day. If you try your best to stick to the schedule, you should have success completing those tasks most of the time. Just try not to let something get stuck more than a day or two. If something does get stuck, the item can be looked at more closely to see whether the priority was set too high and you can THEN decide whether it even needs to be completed this week. The app I use on my phone for my personal to do lists is called Awesome Note. I’ve been using it for years and what I like about it is that you can create so many different types of lists. So, I have my books to read, my places I want to travel, my things to buy, Christmas present ideas, my to do list. Everything Is in its own category so my to do list is not bogged down with anything other than the immediate tasks at hand. This planner is from Sugar Paper and it’s their signature style planner. 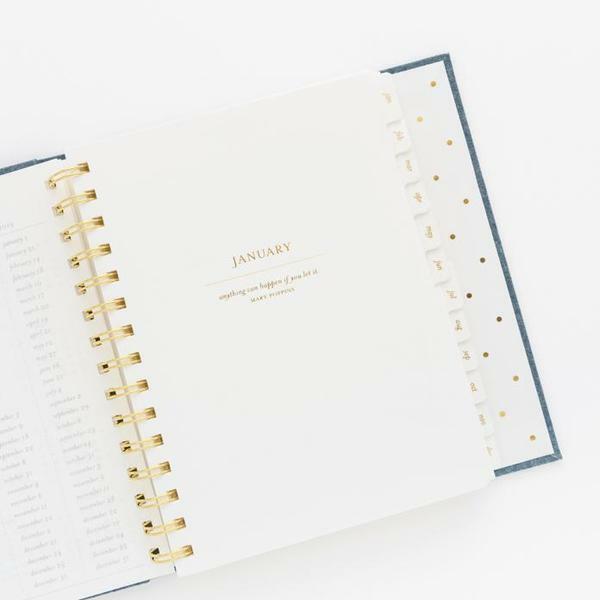 It’s really sturdy and I like that it has a full calendar and then breaks each week out with room on each day to break down your to do list into those increments I mentioned. 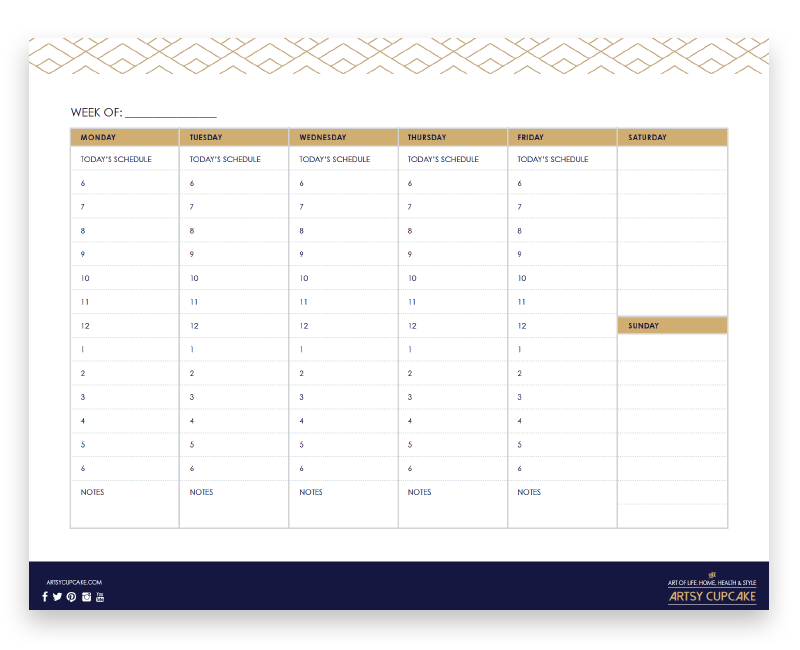 If you don’t want to invest in a planner like this, I have created a free printable pdf for you that has an example of a to do list that’s set up to break down your time for a weekly schedule. You can print out 4 of these and give this type of to do list a try for a month to see how it works for you. To download for free, enter your email address below. Not all tasks are created equal. Some might be quick, some might take up a lot of time, others might be emotionally draining. I personally like to knock out the quick tasks first. These are the easiest and fastest things that you’re really familiar with and you know how to do without even thinking much about it. These types of tasks are great to do in the morning, when you’re still waking up or getting used to your new early morning schedule. These quick tasks warm up your brain and body so that when you’re ready to get into those tougher, bigger projects, you are primed and ready to go. Also, knocking those little things out first thing in the morning will give you a sense of accomplishment and makes you more eager to keep going. Once you get those out of the way you won’t have them clogging up the back of your mind and you can focus on the bigger project or projects for the rest of the day. So, when you’re organizing your to do list, keep this in mind and put those quick items at the beginning of your day. 4 // Don’t get distracted! If you’re really taking your productivity seriously, then you have to limit yourself on your worst distractions. I know for me, and possibly for you too, social media is that main distraction. There are ways to prevent distractions from hindering your productivity goals. For example, you can use apps to monitor how much you’re using social media. I’ve tried the Moment app and really like it. The basic version is free and what it does is tracks the number of hours you spend on your phone and on specific apps. 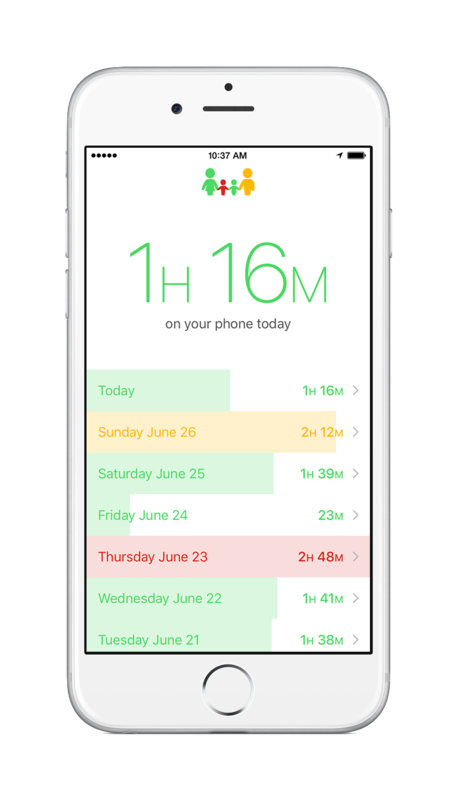 If you end up on your phone for a long stretch of time, an alert will pop up suggesting you take a break. It helps you challenge yourself to take your attention away from your phone and onto something that could be more productive with your time. Another time management app I recently tried is called Forest and it was $1.99. It encourages you to stay focused and be present by planting a virtual tree that will grow while you stay on your self-assigned task. If you leave the Forest app during your specified time, your tree will die and you will feel like a mean tree killer. But if you keep working and don’t pick up your phone during that designated time, your tree will grow into a forest that you can be proud of. It even has soothing nature sounds background music that you have the option to play, which creates a nice work environment. Another really cool thing about this app is that the virtual coins you gain while using the app can be donated to Trees for the Future, which is a company that plants real trees. I think this is just a great partnership in helping the users stay focused and helping a real need in the environment. This sort of gamification of limiting your distractions and managing your time is a great way to stay on track and reach those goals. But just knowing what in particular YOUR main distraction is and having that awareness in the back of your mind to not let it get in your way is the first step to being productive and feeling empowered to fight back against any distractions, no matter what they are. I have an app called Home Routines that I use to do my daily, weekly and monthly home cleaning and chores. You’re supposed to spend 15 minutes a day on a specific area and there’s a built in timer for when you start. There’s something about having the timer going that makes me speed through my chores and it sounds silly, but I really look forward to hearing the little song play at the end of the 15 minutes. That chime is my reward for completing my house cleaning or organizing or whatever I had scheduled for that day. Or on that app I mentioned earlier, Forest for time management – just seeing my forest grow helps me feel accomplished knowing that I devoted a specific amount of time to being productive. And that feeling is a reward in itself. So, when you get through your week or maybe you have a huge task for the day, make sure to reward yourself by playing your favorite song, or tell yourself you get a treat – or whatever it is that makes YOU happy – just somehow celebrate that you finished that to do list with a bang! So, I want to know – what do you do to be super productive? I really want to build a community where we share our ideas with each other, so please comment below. Thank you so much for reading and I hope you have a happy day!